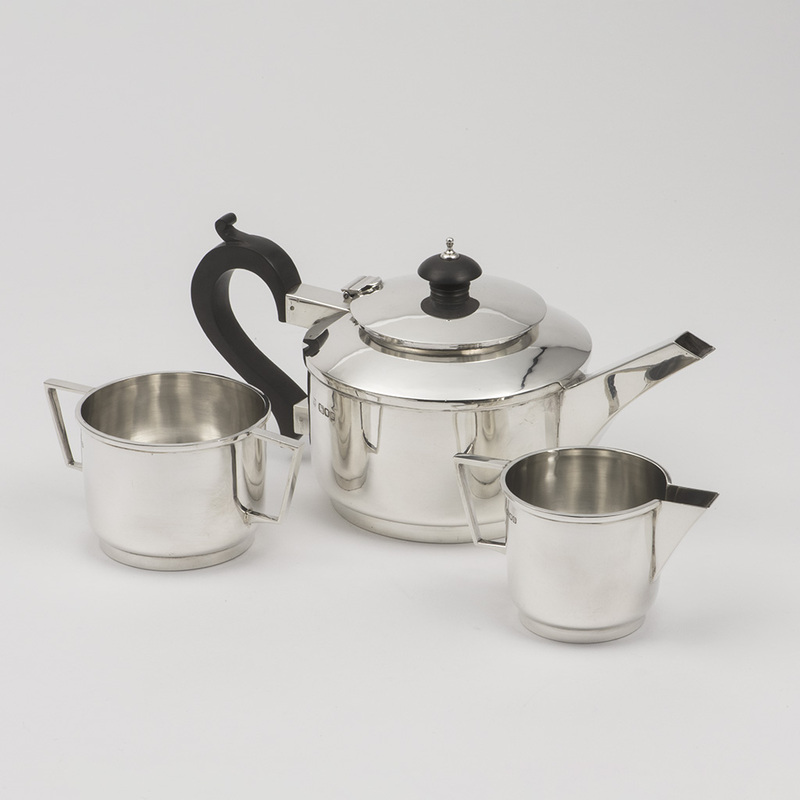 A three Piece Teaset, London 1946. 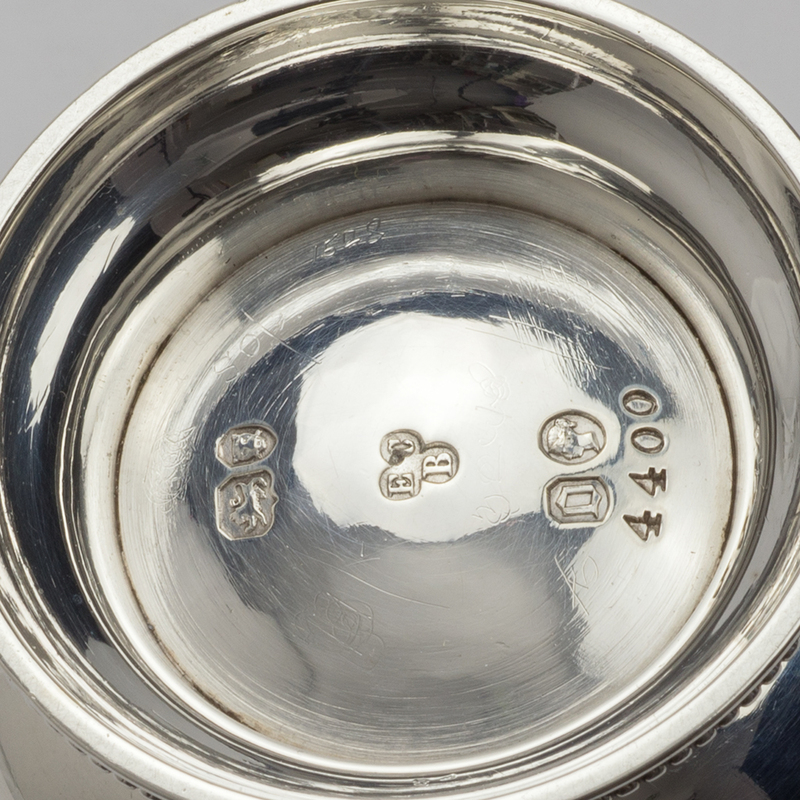 Clarkson ran a silversmiths’ business in the Market Place, Northallerton, from circa 1902 to circa 1935, registering marks with the London and Chester assay offices. 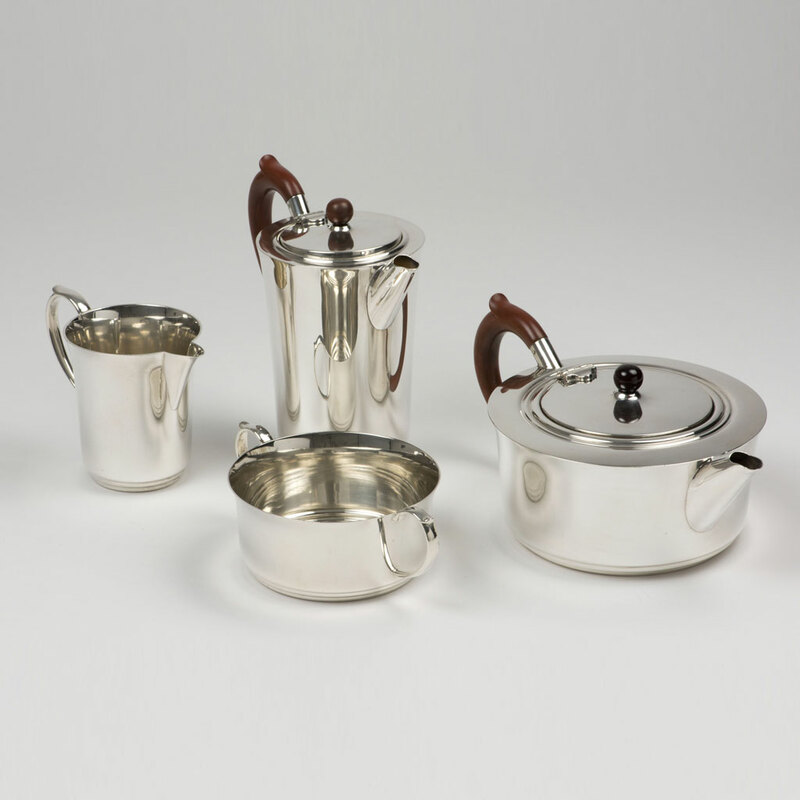 He gave a silver dinner service to the royal family for the Queen’s Doll-house in 1923. 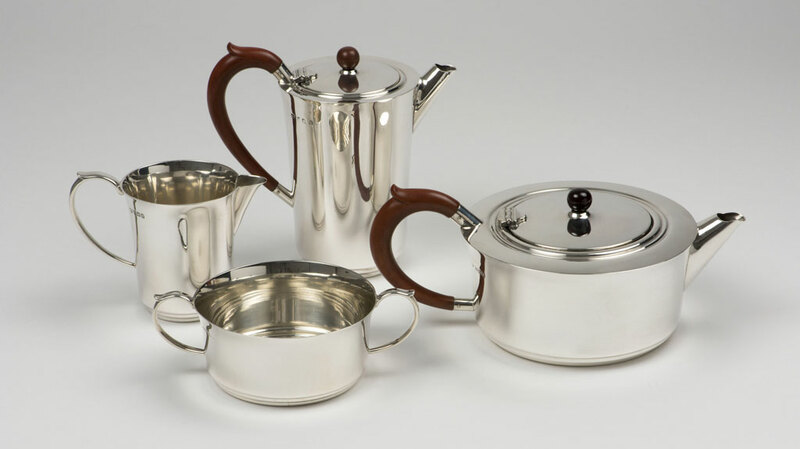 His early pieces were in a distinctly arts and crafts style but his later pieces exhibit an ‘Art Deco’ plainness, with a smoother surface. 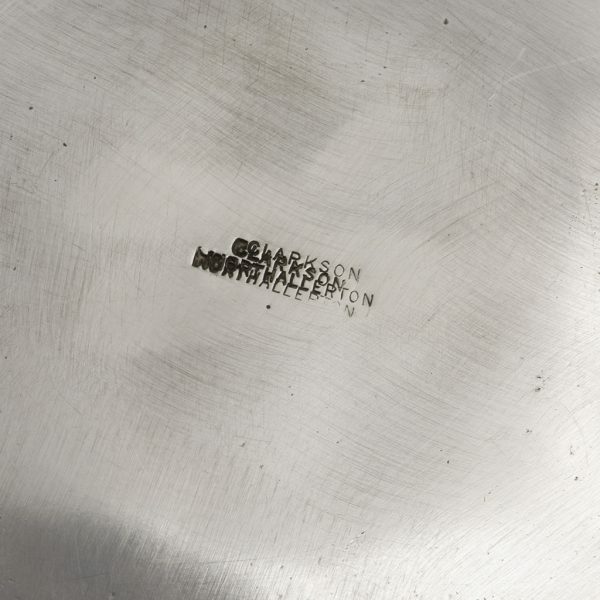 He continued, however, to deliberately retain a degree of roughness to interior surfaces and a simplicity of manufacturing technique. 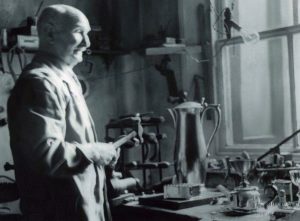 There is an interesting history of Clarkson’s Yard in Northallerton, published by Katherine Lart of the Northallerton and District Local History Society [August 2015] which includes further information about Frank Clarkson and has an image of him in his workshop with the teapot from this service visible on his bench. Good. The name struck underneath the teapot has been slightly mis-struck. The Teapot: Height – 12.30 cm. ; Width – 26.40 cm. ; Depth – 13.50 cm. Weight [of the three pieces] – 950 gms. 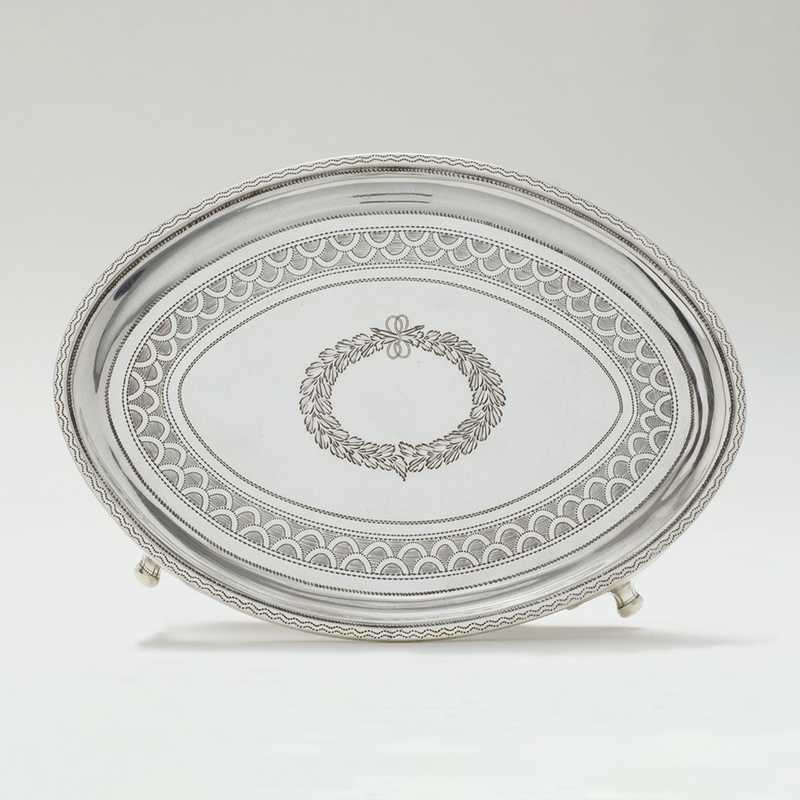 A George III silver Teapot Stand. 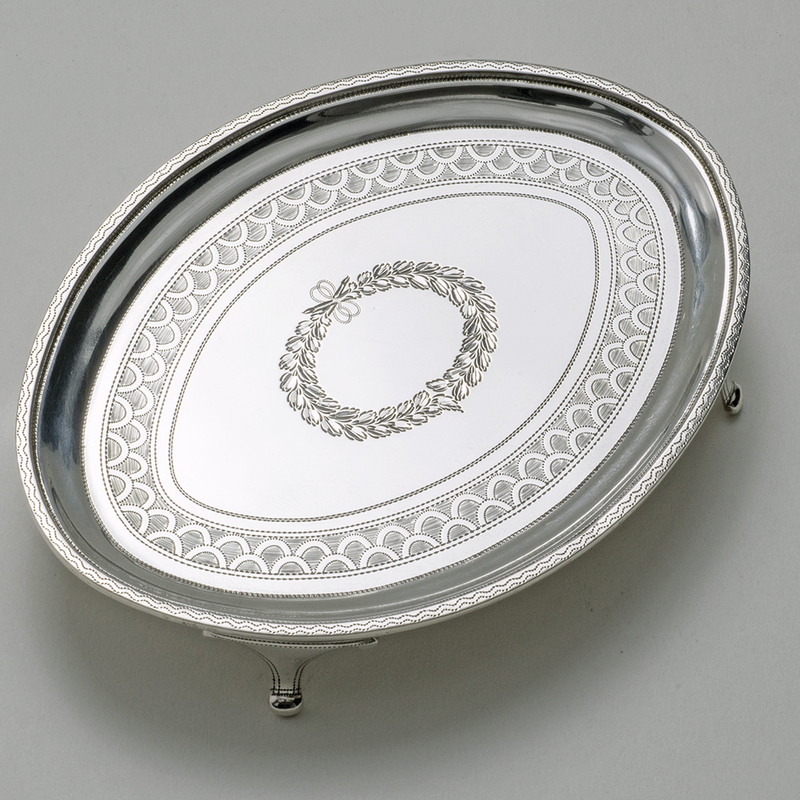 Send Enquiry for A George III silver Teapot Stand. 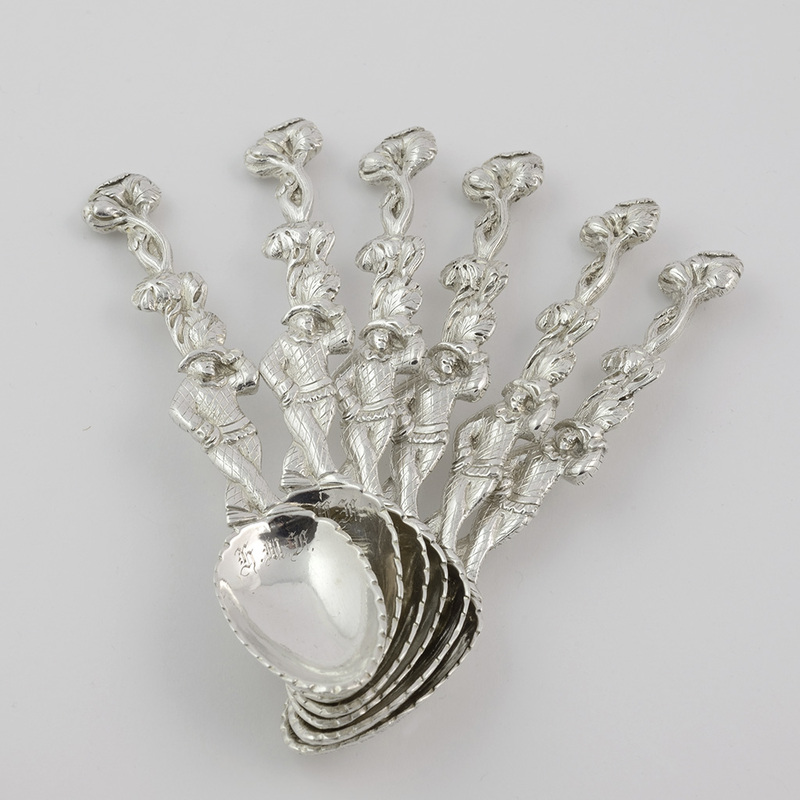 A Victorian Set of six ‘Harlequin’ silver Teaspoons. 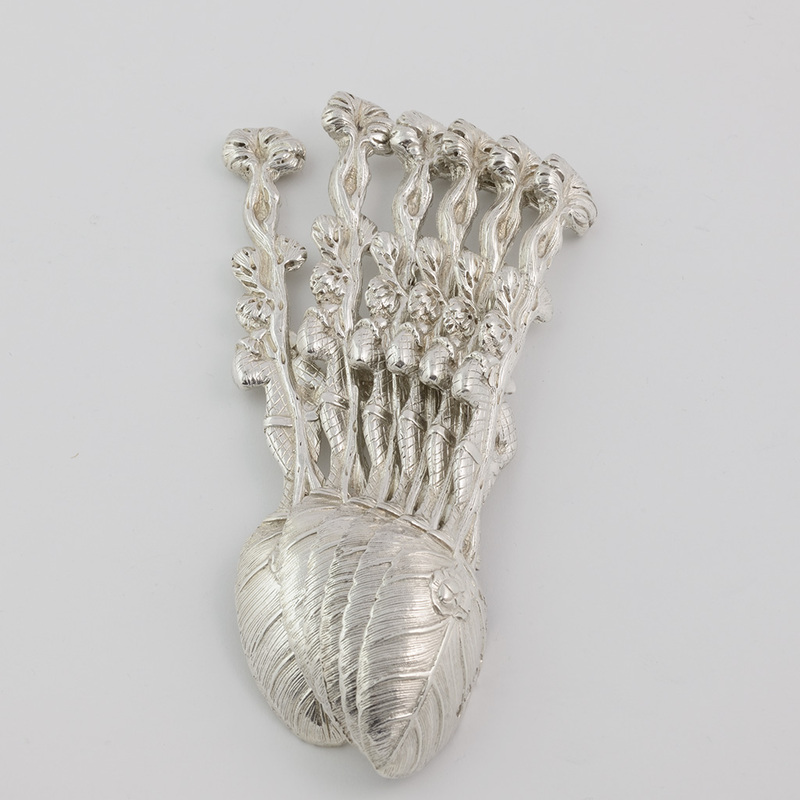 Send Enquiry for A Victorian Set of six ‘Harlequin’ silver Teaspoons. 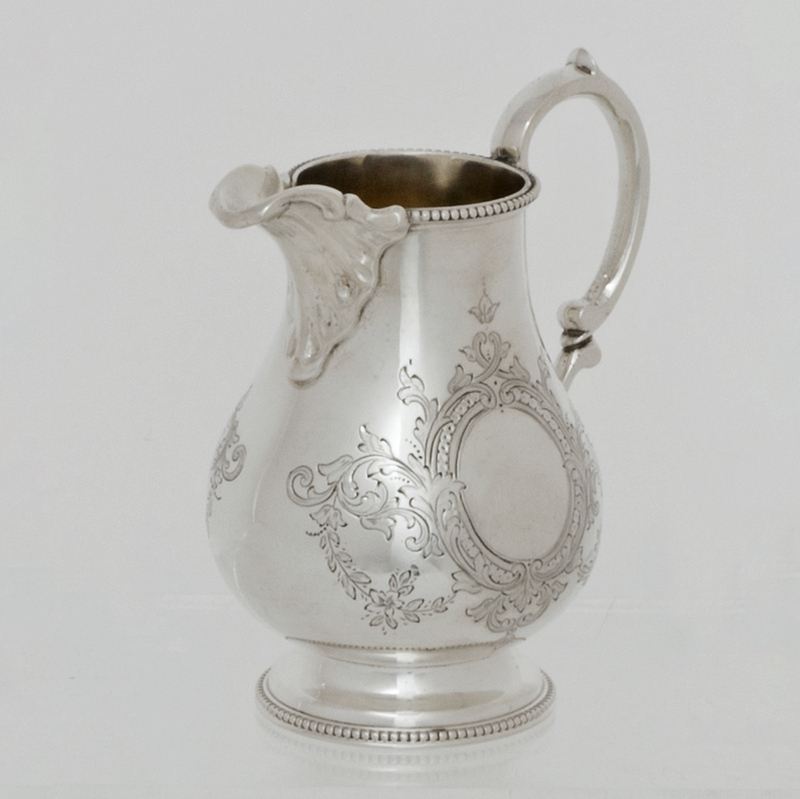 A Victorian silver Cream Jug. Send Enquiry for A Victorian silver Cream Jug. 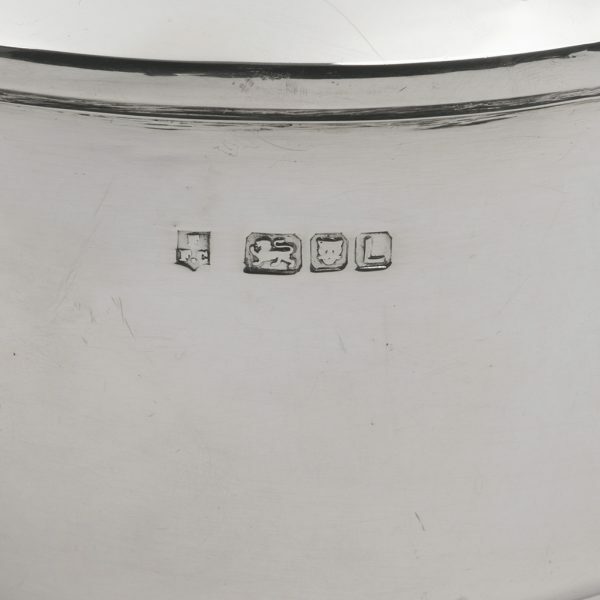 previous post: A ‘crushed can’ modern silver Jug.